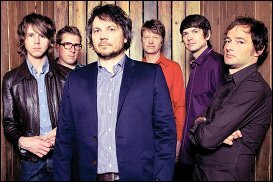 INDIANAPOLIS, (CelebrityAccess) — Indie rockers Wilco canceled their scheduled May 7 concert in Indianapolis, following the state's passage of the controversial Indiana Religious Freedom Restoration Act. discriminate against customers based on religious concerns. In a post on the band's Facebook page, a spokesperson for Wilco wrote "We are canceling our May 7 show at the Murat in Indianapolis. The "Indiana Religious Freedom Restoration Act" feels like thinly disguised legal discrimination to us. Hope to get back to the Hoosier State someday soon, when this odious measure is repealed. Refunds available at point of purchase."